True autonomy is achieved through humility, in other words through the emptying of the self in order to make room for all others. The saints imitate the humility of Christ in His sacrifice on the Cross. The emptying of the self is the greatest Christian virtue. God raised Christ on high in return for His self-emptying and humility. This is why those who imitate Christ’s humility as a human person also partake in His elevation as God and human. It’s a grave mistake to isolate yourself from others, invoking autonomy in order to do so, because this actually leads to heteronomy, to being enclosed within yourself. All the virtues and gifts granted to saints are social in nature. This is why all the saints are social. If you look at their lives, they all imitate Christ in this way: humility, self-emptying, self-sacrifice and selflessness. Without these, it’s impossible to achieve autonomy in Christ. 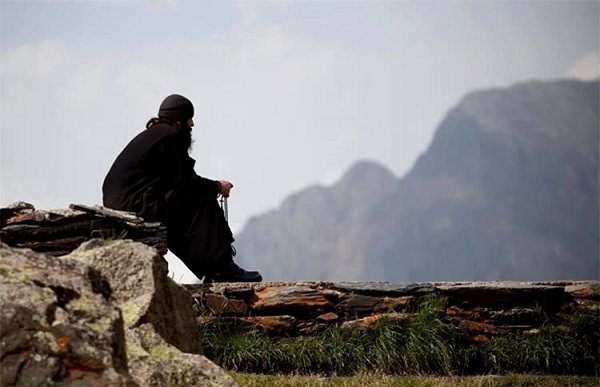 Although strict with themselves in their life of asceticism, they’re lenient with others. So we can say that those who have humility also have sociability, and that where there’s pride, there’s isolation. In any case, this is what sin does: it fractures the unity among people, creating an unnatural state. According to Saint John Chrysostom, humility’s the ‘mother of all good things’ and the ‘beginning and end of virtue’. Without humility, no progress in the virtues is possible and, by the same token, no imitation of Christ and similarity to Him. That is the foundation of virtue and from it all other virtues flow, while without it there is no virtue. According to Saint Maximos the Confessor, humility is as necessary a condition for one to be virtuous as gold is to be rich. Unless virtue cultivates humility, it’s pointless. Unlike the philosophers, who pursue virtue and attribute the achievements to themselves, the saints strive for humility, not virtue. They’re aware that their virtue’s the result of the soul being visited by Grace and that the merest suggestion of pride will cause this Grace to leave them. They prefer the Giver to the gifts of His love. They don’t seek the praise of other people because they know that praise is due only to God. All they want is His love. Having true self-awareness in the Holy Spirit, they know that they have come from non-being. They’re convinced that good cannot come from nothing and so they attribute all their achievements to the real Being, God. Besides, in the Church those who are valued are the last, not the first: ‘If people wish to be first, let them be the last of all and the servants of all’. Saints, into whom the peace of Christ has entered, rejoice to see others being praised, while they themselves are confined to the mud. They also rejoice when others are happier than they are and are sad when they see them troubled. True autonomy exists only with selfless love. But for people to love selflessly- even their enemies- they need humility. If you think about it, it’s not freedom if you assist and love those who behave well towards you, but it is if you do so towards your enemies. Modern society thinks that autonomy is seeking and acquiring what it is you want. Such an action is motivated by the passion of greed and should not be characterized as an act of freedom, because the reins of the soul are being held by the passion, which has its roots in pride. True freedom lies in sacrificing yourself and your will for the sake of others, not in your efforts to protect yourself and reject others. True humility is to put yourself in the place of others, which is a common denominator in the lives of the saints. Humility makes people stronger, making them ‘full of wisdom, love and divine energy’. So it should come as no surprise that saints are the spiritual support for thousands of people. Despite this, people today refuse to support other people selflessly, even to the least degree. This is true even of family and friends. It’s clear from this just how much power sin has over us and how prevalent division is. 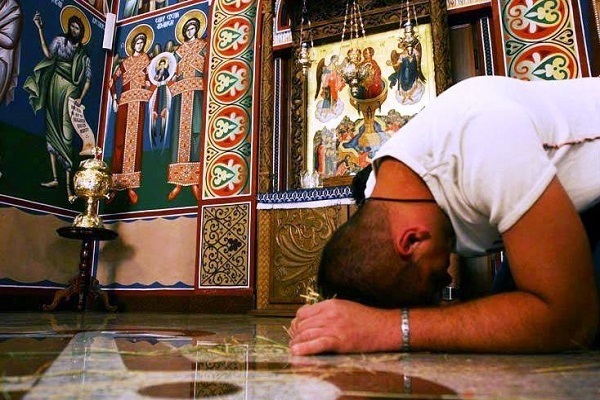 Finally, humility isn’t merely an attitude to life, nor simply a moral imitation of Christ. The humility of the saints is an ontological feature of their existence, thanks to which the passions are defeated and glorification is achieved. Western intellectuals reject humility, claiming that in this way human personality is oppressed. They also characterize it as a form of masochism that creates complexes and neuroses and leads people into a state of total submission to others. Christian humility, however, doesn’t cultivate some kind of psychological dolorism. Rather it promotes spiritual courage. The more people humble themselves and offer themselves to Christ, the more they kill off their self-love and open up so that God and their neighbours can dwell in them, then the more they contribute to their own glorification. In other words, death is conquered only with humility and only through humility are people made partakers in the divine nature and in total freedom in the Holy Spirit.